A body bag constructed from genuine Banjo leather with brushed nickel or brass hardware. 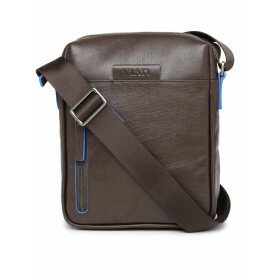 This on-the-go bag comfortably fits in your iPad and favourite book. The two interior flat pockets neatly organise your pens and wallet. Perfect for that seminar in the evening.